Fair deal: if it takes a hunter half the time to catch a deer than to catch a beaver, a beaver will exchange for two deer. In the works of 19th century political economists, the understanding of the nature of value is of major significance. The Labour Theory of Value is its foundation stone, writes John Egan. 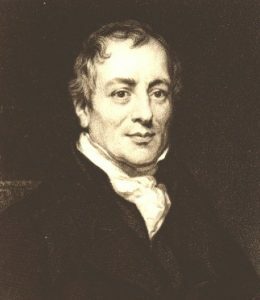 In 1817 David Ricardo (pictured) embarked On the Principles of Political Economy and Taxation with an initial chapter called On Value. Here he developed the twin concepts of value in use and value in exchange proposed 40 years earlier by the Scottish economist, Adam Smith. Fifty years later Karl Marx developed these notions by virtue of his extremely detailed analysis in Capital. What followed was 100 years of controversy and political upheaval that continues to this day. 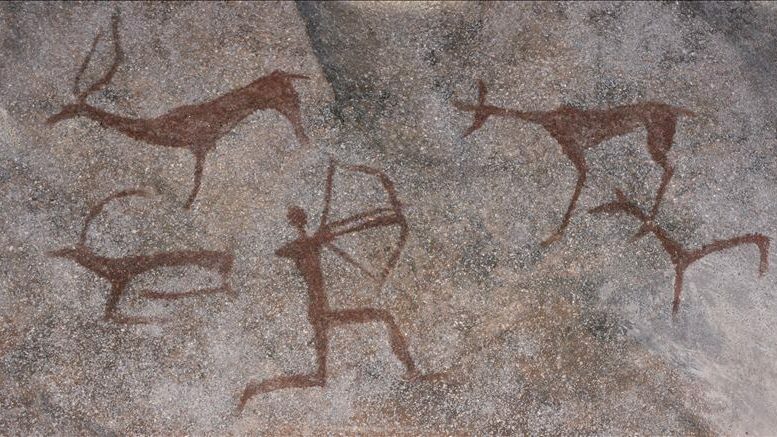 The subject begins traditionally by comparing the value after capture of a beaver and a deer in some primitive society. Both have a use-value or utility which for the two animals are qualitative and different. They also have an exchange value one for the other, whereby the beaver hunter might acquire the utility of the deer and vice versa through some mutual exchange with the deer hunter. This exchange must be determined by the relative value in exchange of the beaver and deer. That this is really the foundation of the exchangeable value of all things, excepting those which cannot be increased by human industry, is a doctrine of the utmost importance in political economy; for from no source do so many errors, and so much difference of opinion in that science proceed, as from the vague ideas which are attached to the word value. The rationale here depends on the use value. Both hunters have need for part of the other’s catch and have a choice to catch it themselves or undertake a mutual exchange. The exchange value has no meaning without an ultimate use value, and the proportions of exchange will depend on the relative effort to acquire the item that is needed. Exchange values must be based on some quantitative relationship and the only quantity the beaver and the deer have in common is the amount of human labour devoted to their capture. Innovation in this early state of society might improve the trap to catch the beaver. In this case the exchange value of the beaver might be reduced to one deer as then the same amount of human labour is needed to capture the animal. In a more diverse and developed market, Ricardo considers the role of capital to be the embodiment of the labour that was involved in its creation and again this capital – in machinery or distribution, for example – contributes in an incremental and proportional manner to the total labour required to bring the traded goods to market. Again innovation, whether it be applied to the product or to the efficiency of the capital in the means of production or distribution, the effect is the same – that is to diminish the total labour required and thereby reduce the value of the product. If fewer men were required to cultivate the raw cotton, or if fewer sailors were employed in navigating, or shipwrights in constructing the ship, in which it was conveyed to us; if fewer hands were employed in raising the buildings and machinery, or if these, when raised, were rendered more efficient, the stockings would inevitably fall in value, and consequently command less of other things. ……. Economy in the use of labour never fails to reduce the relative value of a commodity, whether the saving be in the labour necessary to the manufacture of the commodity itself, or in that necessary to the formation of the capital, by the aid of which it is produced. ……… In the one case, the whole saving of labour would fall on the stockings, because that portion of labour was wholly confined to the stockings; in the other, a portion only would fall on the stockings, the remainder being applied to all those other commodities, to the production of which the buildings, machinery, and carriage, were subservient. This is the long term or equilibrium effect of innovation in what has become known as the Labour Theory of Value. In the long-term, innovative commodities become more socially accessible. However, in the diverse and developed market there are time-dependent factors that also must be taken into account. The value derived from a measure of total labour required might be considered a natural value, whereas the market value at any time might deviate around this due to many numerous factors concerning the specific properties of the market and the individual preferences it comprises. The awareness that the labour of different professions in reality contributes value in different degrees is simply accounted for. This difference is a relatively fixed feature of commodity production and thus different periods of labour duration might be attributed to different skills or intensities of work. And the fact that different individuals might labour with different intensities is similarly ignored by taking an average value for a generic labour necessary at a particular time and under specific conditions of production – which Karl Marx refers to as socially necessary abstract labour and which he considers to be the value of the commodity. Be the first to comment on "The Labour Theory of Value"